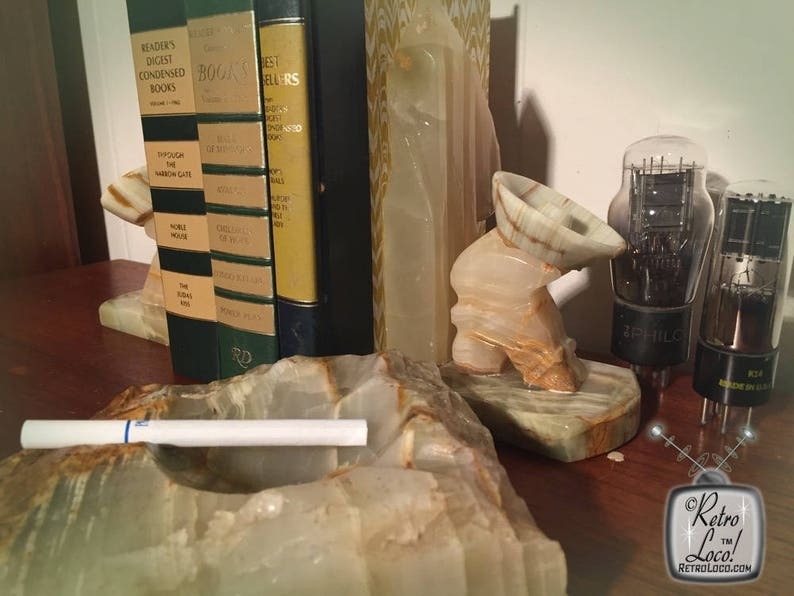 Beautiful alabaster ashtray and matching set of bookends would be a great wedding present, Father's Day present or man cave gift! **More photos coming SOON. Items listed 2-5-18. *Books and other props are not included. ❉ What you will receive: One ashtray and one set of bookends. ❉ Color: Ivory, beige, brown. ❉ Condition: In great vintage condition.